As Johnny Vaughan might say, ‘London- why are YOU feeling flash?’ Well today I’m going to allow myself a sliver, a tittle of feeling flash for four reasons. 1. 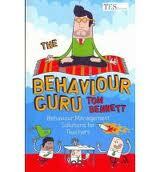 The NUT will be giving away a copy of my first book, The Behaviour Guru, free to all qualifying teachers in England and Wales as a joining incentive- for the next three years. I am indecently chuffed, and enormously grateful for the chance to get what I hope is plain speaking, common sense advice out to as many new teachers as possible. 2. 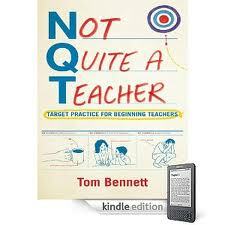 Book number 2: ‘Not quite a Teacher’ slammed into the Top Million or something today, and it’s my first book out on Kindle. I fully intend that the third book (which I’m writing as we speak) will be available for instantaneous download directly into your central cortex, or something. 3. I’m doing a training session this Saturday for the TES in London, working with some people on behaviour management, which I always love. And the sandwiches are fabulous. One place left, I think, if you’re at a loose end at the weekend. Click here for details. 4. 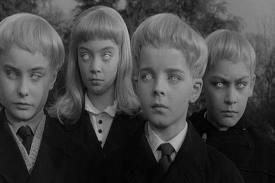 My A-level students have made a great start to the exam season- I hope. Couldn’t be more proud of them. There is an atmosphere slightly more tense than the launch of a Space Shuttle, but it’s a buzz. And it’s legal. Two of my favourite things in the world: teaching, and writing. I get to do both. And the best bit is, I know exactly how fortunate I am for that.